Our mornings go by pretty quickly. 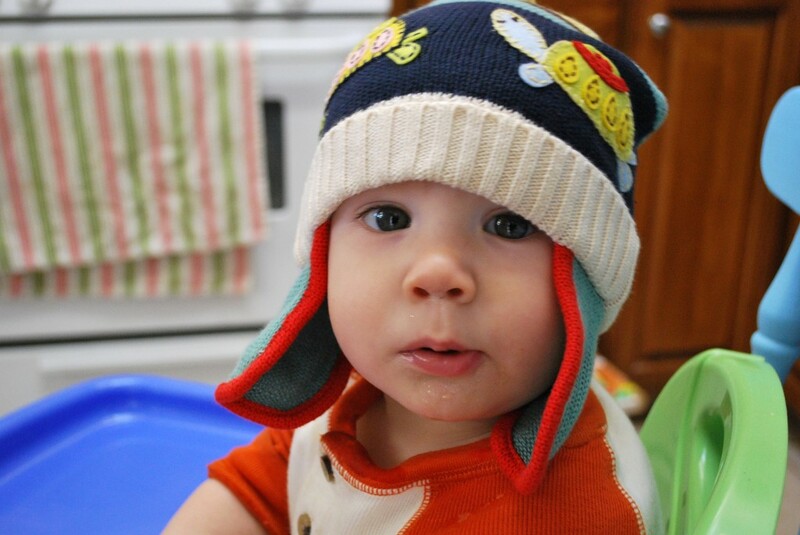 One errand or activity, plus Ben’s nap, and suddenly it’s time for lunch. The mornings when we just stay home are always a nice break. I drag Ben’s high chair into the middle of the kitchen so he can watch me cook and clean while he eats snacks or plays with toys. Natalie hangs out at the table painting, coloring, or doing playdough. Or eating snacks. Did I mention how much my kids like to snack? Not from the same day I but I wanted to show it anyway… they had so much fun discovering this new playhouse. They are playing together, or at least alongside each other, a lot these days! 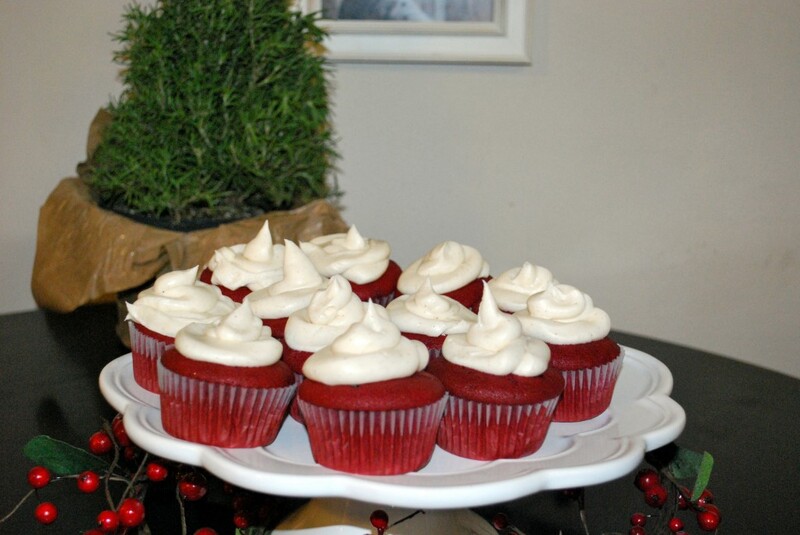 My kitchen creation of the day was these red velvet cupcakes with cinnamon cream cheese frosting, from scratch of course. The frosting was rich but so yummy! I disapprove of store bought frosting (inherited that one from mom). The special occasion was having my girlfriends over for dinner. 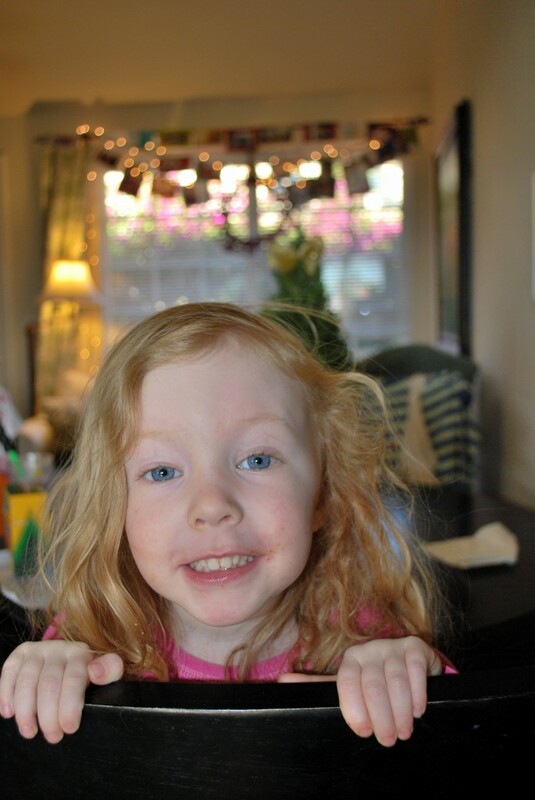 I made Fancy Macaroni (with 4 types of fancy cheeses) and it was a hit! Notice the empty plates. This entry was posted by Mollie on Sunday, January 10th, 2010 at 9:22 pm	and is filed under Benjamin, In The Kitchen, Life & Times, Natalie. You can follow any responses to this entry through the RSS 2.0 feed. You can leave a response, or trackback from your own site. so much cuteness happening at your house! and now i’m craving cupcakes for breakfast:) love you guys! 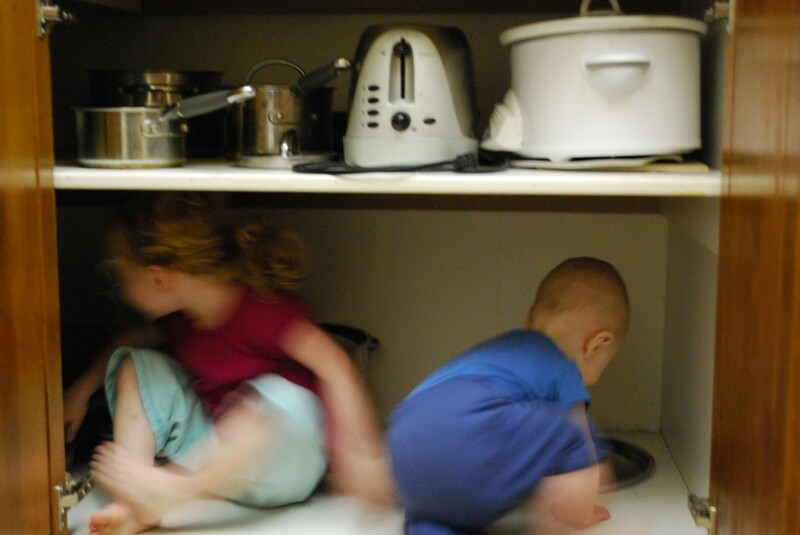 Oh, those are such fun pictures of Nata and Ben–especially the cupboard. 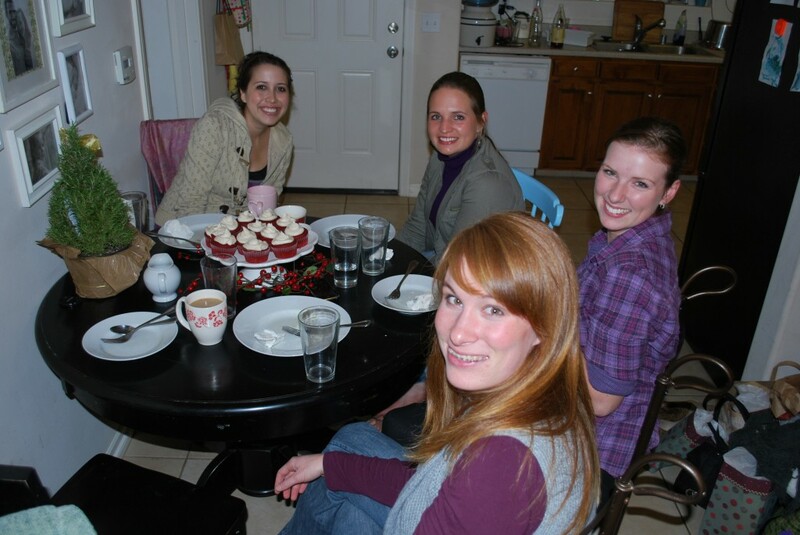 What a fun girlfriends dinner party! What a blessing you are to your friends and family. Keep up the good service in the name of Christ.